Description A red blush sport discovered at Crist Brothers Orchard, Walden, NY in 1990. Exhibits full red color two weeks ahead of Empire. Very productive and a better annual bearer than other blush strains observed. Trees are somewhat less vigorous than Empire producing a slightly smaller tree. We feel this strain is worthy of planting and will set new standards for the Empire market. 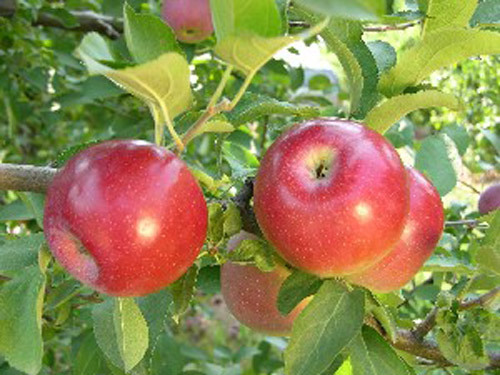 Pollination Information Crown Empire is an early blooming variety and can pollinate all other early blooming apple varieties as well as varieties with mid-season bloom times.